Simei Monteiro, a retired United Methodist-sponsored Person in Mission in her home country of Brazil, searches to sing her faith in a uniquely Brazilian way. Simei received a degree in sacred music, worked with her Baptist pastor-husband in local parishes, and published a hymnal called The Lord’s Song in the Land of Brazil. Slowly her hymns and songs of praise have been received, used, and loved. Simei’s determination to make music and worship meaningful in people’s lives is bearing fruit. 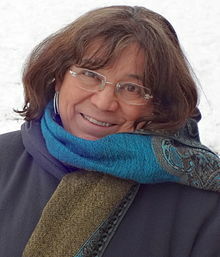 Simei Monteiro was a professor of music and liturgy at the Methodist Seminary in Sao Paulo. She translated many of Charles Wesley’s hymns into Portuguese. She was an active part of the Methodist Church in Brazil, the Latin America Council of Churches, and the World Council of Churches. How better to be an evangelist and missionary than to sing songs, both fresh and familiar, to see us on the Way! Adapted from “Singing the Lord’s Song — in Portuguese with a Brazilian Beat,” in People Just Like These: Stories of Persons in Mission Serving Around the World, Vol. II, ed. by Elizabeth L. Howard. (Denver, CO: Global Mission Partners, 1992), 12. “Simei Monteiro,” International Bible Reading Association, http://www.ibraglobal.org/fresh-from-the-word/our-writers/simei-monteiro/, accessed Feb. 27, 2018. “Simei Monteiro,” WikiMonde, https://wikimonde.com/article/Simei_Monteiro, accessed Feb. 27, 2018.